Here at Bob Boyte Honda, we want to honor our military members and their families, which is why we have the Honda Military Appreciation Offer. With this offer, select and eligible U.S. Military personnel and their spouses can get $500 offer towards a 2018 or 2019 Honda leased or financed through Honda Financial Services for down payment assistance or CAP cost reduction*. This offer is good for all Active Duty U.S. Military (Army, Navy, Air Force, Marines, National Guard, Coast Guard, and Active Reserve) and their spouses, Active Duty U.S. Military Ready Reserve, U.S. Military Veterans (who are within 180 days of separation from active service) and their spouses, U.S. Military Retirees, and the spouses of U.S. Military Retirees. We recognize all the hard work that our service men and women do to keep us safe, and this is our small way of saying “thank you” here at Bob Boyte Honda. *certain restrictions apply, see dealer for specific details, WAC. 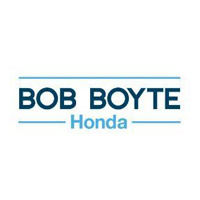 Bob Boyte Honda, serving Jackson and Meridian, is the place to go for all your Honda needs! We have a great selection of new Honda vehicles available for purchase or lease in our lot, all at great prices–not to mention our variety of high-quality used and certified pre-owned vehicles. We’re also proud to have a state-of-the-art service center and a parts store where you can find genuine Honda parts, chemicals, and accessories. When you’re ready for a test drive, give us a call at 601-826-4061; then, come visit us at 2188 Highway 18, Brandon, MS 39042–it’s well worth a trip from Hattiesburg or Vicksburg! We look forward to seeing you at Bob Boyte Honda!